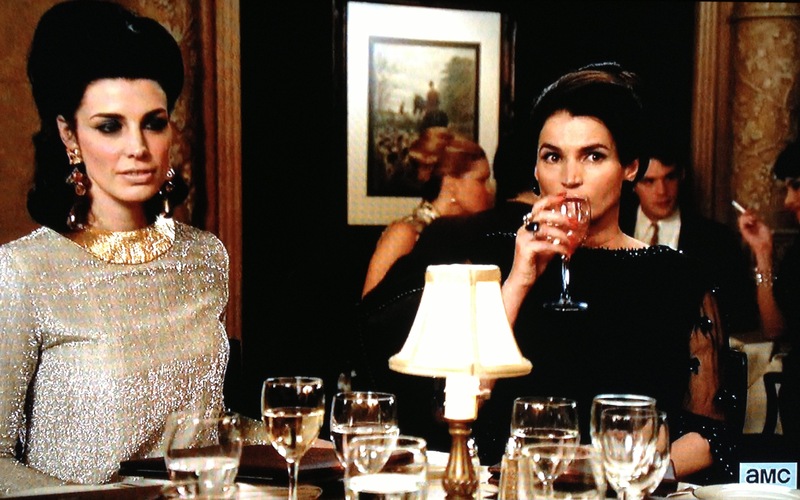 It makes sense that Marie is my new hero, since she gave birth to Megan, the Official Mad Men Grapefriend. She may have just usurped the title though. First, we get both mom and daughter having Jadot Beaujolais Blanc at dinner. About 99% of Beaujolais is red and made from Gamay grapes, but the Blanc versions are made from Chardonnay and some Aligote. And THEN we get her opening a bottle of red while she has to hear Megan and Don getting it on. Label just says “Pinot Noir” so we can assume it’s Burgundy since I’m sure she only drinks French – it’s not like they were making Pinot in the Willamette Valley in 1968. 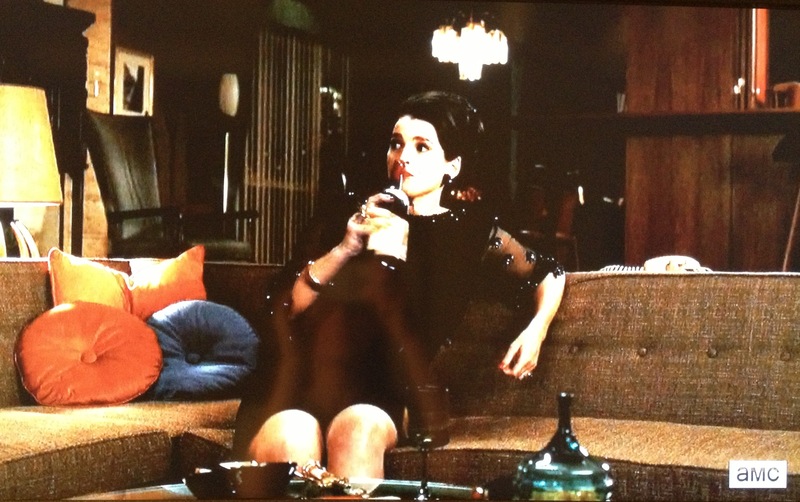 And THEN she just drinks it straight from the bottle after the Roger phone call. Famazing. Tags: aligote, beaujolais, burgundy, chardonnay, gamay, mad men, pinot noir, wine. Bookmark the permalink. Also, hero-worship worthy, Marie telling Rodger, “You are speaking slowly so that I will understand? Lose. My. Number.” That’s quoted from memory, and likely not precise, but still fantastic! They’re really well cast, too, I think. I enjoyed reading your blog even though I haven’t the first clue about wine, but I do like Mad Men! Thanks! Grapefriend is all about telling people a little bit about wine through pop culture. 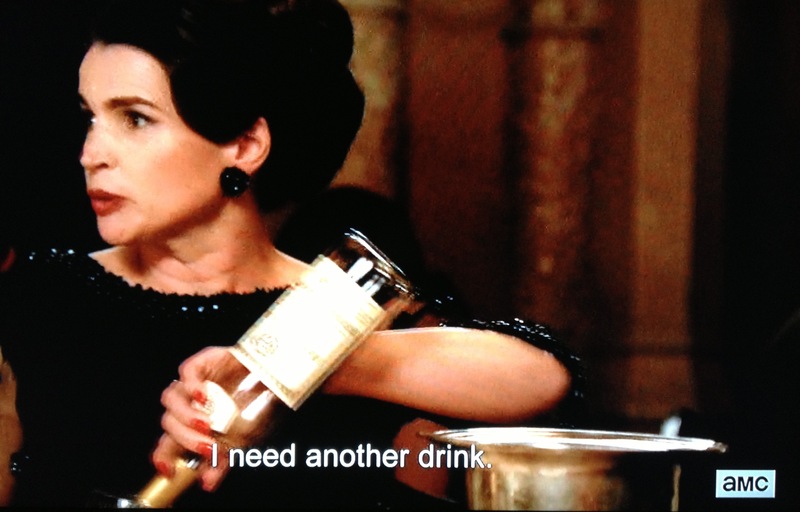 Mad Men wine recaps are every Monday. Cheers! 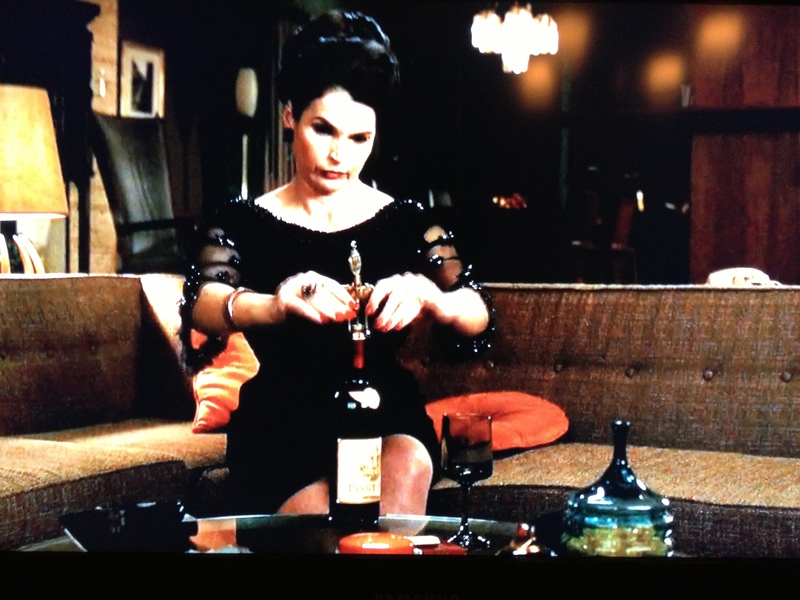 Never watched Mad Men *hanging head in fake shame* but I love the fact that they’re pushing wine as much as martinis!! As for myself, I enjoy a lightly chilled pinot noir with a cassoulet, a fruity beaujolais with roasted chicken and potatoes, and a blackberry sort of cab franc with a steak and blue cheese but just for drinking? Pinot Grigio. One can have so much fun with a crisp, apple-y pinot grigio. Sigh. Haha well I wouldn’t say AS much as the cocktails they drink but it’s definitely had more of a presence as it did in real life starting in the late 60s… Cheers! Adore Mad Men, love this post, brilliant! Thank you for bringing a smile to my face this morning. Classic.